Having trouble with planning a menu? 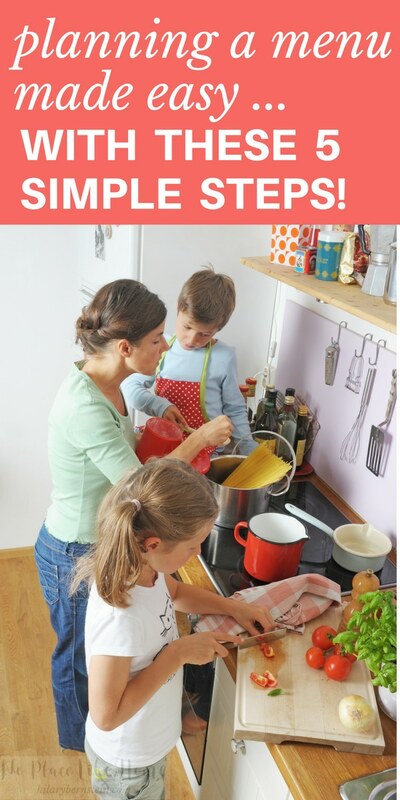 You’ll absolutely love this simple 5-step meal and menu planning process! Food is essential to a haven. When you think of creating a haven by catering to your five senses, you can’t forget about taste. And meals are the obvious time and place to tickle your taste buds. But planning a great meal – or, quite frankly, any meal – doesn’t come naturally to everyone. In fact, I used to hate planning a menu. After years of being influenced by my husband’s spontaneity, I thought flying by the seat of my pants in dinner preparation was a good thing. What kind of meal was my family in the mood for that day? I had created my own system of meals without a true menu planning process – I stocked up on basic staples and keeping a filled pantry, freezer and fridge, so I could make up meals on the fly. I thought it worked well. But I kept reading blog posts and comments about how menu planning was so helpful … how it could save time and money. And, being raised by my mother who would plan out her menus six months in advance, I began to wonder if I was missing out on something pretty huge. So, at the beginning of January, when I was motivated to make all sorts of helpful changes for the year, I decided to give menu planning a shot. I never imagined I would love it like I do. Print off a blank seasonal menu planning chart like the one right HERE. Start filling in your seasonal meal plans with your favorite recipes. I’ve found it’s much easier to assign certain days as theme days – like Meatless Mondays. For my family, I’ve set aside one day a week of a chicken meal, one day a week for brinner, one day a week for an ethnic meal, one day a week for a slow cooker meal, and one day a week for either sandwiches, soup or salad. 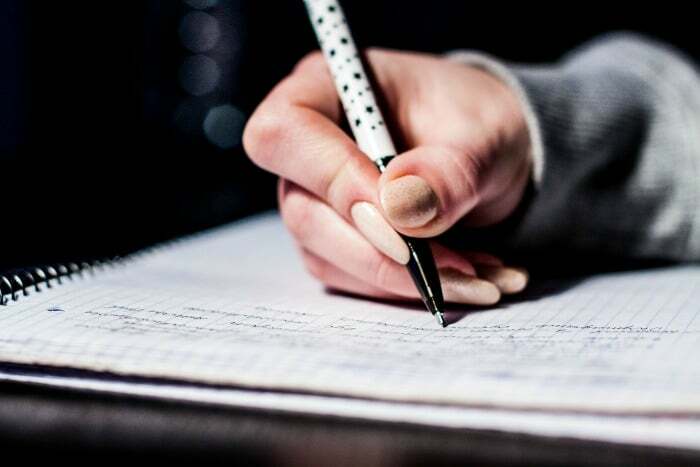 When I’m filling out my menu plan, I just know that each Tuesday is ethnic night – so I schedule Taco Tuesdays … or curry or Pad Thai or spaghetti and meatballs. Wednesdays are chicken nights. Thursdays are slow cooker nights – so I look for slow cooker recipes and fill them in each Thursday. Fridays are date nights, and we plan to go out either on a family date or know to plan on babysitting. As I plan what we’ll have, I just stick to main dishes … then I roll with whatever side dishes sound good or match the main dish well. I also keep in mind what we’re in the mood for, seasonally speaking. In the middle of winter my family craves lots of chilis or meat and potato kind of meals. In the middle of the sweltering summer, we opt for salads, cold sandwiches, or something on the grill. Once your meal plan is scheduled for the season, stick in on your refrigerator so you remember what’s coming up each day. Also, when you make your grocery list, add ingredients you’ll need based on your upcoming meal plans. When you’re in the middle of each week, you’ll know what’s for dinner – and each morning you’ll know what you need to prepare ahead of time. If, for some reason, you’re just not in the mood for whatever you have planned, switch out your night’s dinner plan with something else in the week. 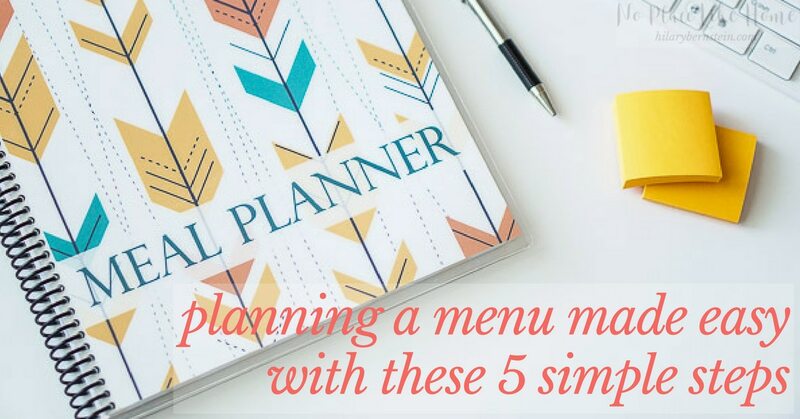 With this simple 5-step menu planning process, I’ve found that I can spend half an hour planning my seasonal menu each three months and then set my meals on autopilot. The key, for me, is to get some meal on the calendar. I might end up switching it weeks down the road, but as long as I have a basic direction (both for grocery shopping and meal prep) it makes my life so much easier. I love how creating three months planned menus at once is a terrific way to set it and forget it … I have no more 4 p.m. worries about brainstorming what’s for dinner. If you still feel stuck when it comes to planning an actual meal, though, that doesn’t have to be difficult, either. When I plan a dinner, I first decide on a main dish – either meat or meatless. Once I know that, then everything else is easier. As a general rule of thumb, as I’m planning side dishes I always try to serve one or two green vegetables. If I’m not concerned about a particular diet, I also serve some kind of starch – potatoes, rice, or, very rarely, pasta. Some meals lend themselves well to serving two vegetables as side dishes – the more veggies, the better! I very rarely serve rolls or bread as a side dish, just because I’m trying to incorporate more vegetables into our daily diet. If you’ve switched (or would like to) make a healthier diet switch (maybe try giving up sugar or cutting back on gluten), I’ve found it’s really easy to create meal and menu plans from cookbooks. This year my family’s absolutely loving Trim Healthy Mama, and by picking out one main dish recipe from the Trim Healthy Mama Cookbook or Trim Healthy Table Cookbook, lots of side dishes are suggested. And that makes meal planning a cinch. Since following Trim Healthy Mama, my meal planning has never been easier. 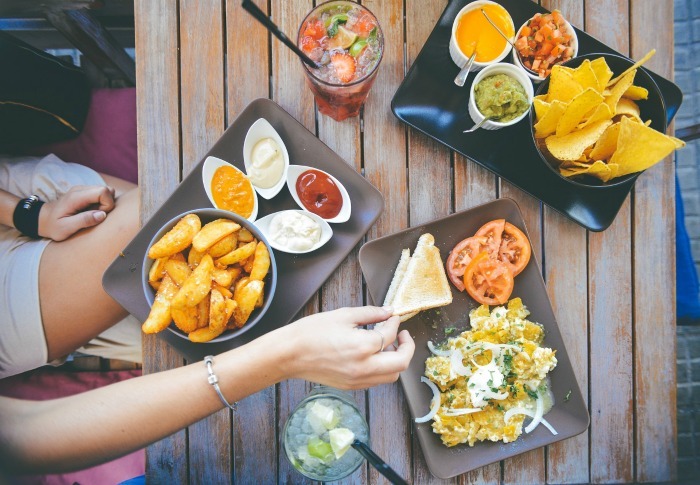 By remembering the five elements needed in a meal – main dish, two side dishes, a dessert and drinks – planning a meal is made easy. I love not having to stress about what’s for dinner anymore, and because the 5-step process is so simple, I don’t hate planning a menu anymore, either! 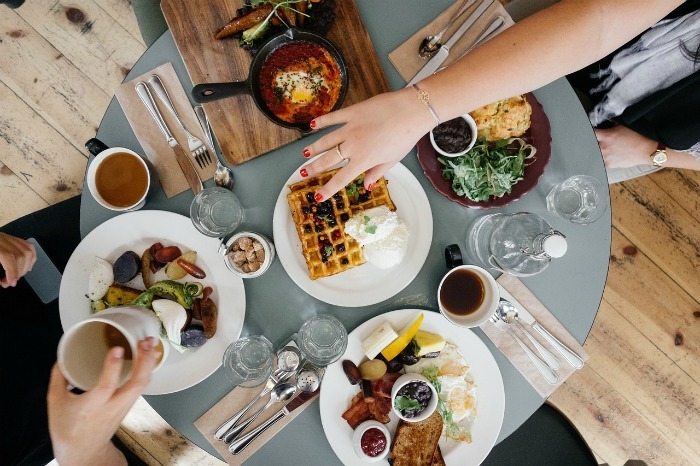 What menu planning process has worked best for you? What do you typically do? Disclosure: This post originally was published in March 2016. Purchasing items through links in this post will result in a commission for No Place Like Home. Thank you for supporting this website! All images courtesy of Adobe Stock and Pixabay.